A few years ago, my wife and I visited the Falkland Islands at the beginning of January. Although the human population is extremely British in both origin and speech, there are considerable differences between the way of life in the Falkland Islands and life at home. Although approximately at the same latitude as London, the lack of a Gulf Stream makes the weather much colder. The islands are greatly affected by strong winds coming up from the Antarctic. Quite naturally, the land is treeless out in the country. The Falklands are divided into farms rather than districts or villages. In order to access farmland other than by accepted public footpaths, it is necessary to contact the farmer who owns the land. Casual entry into a piece of countryside that looks interesting for plants is not possible. There is some lovely scenery associated with the coast which is open to the public, but much of the interior is uniformly covered in grassland and rock, and to casual observation does not appear to have much botanical potential. Falkland Islands Conservation have an office in Stanley, and staff there were both helpful and knowledgeable. Stanley also has a fine library stocked with books and papers concerning the natural history of the islands. Recent blogs that I have written have concerned the flora of the Canary Islands. One of the most obvious features of their flora is that it contains members of genera that bear little resemblance to that even in neighbouring Africa, Southern Europe or even other Atlantic islands such as the Azores and Cape Verde Islands. 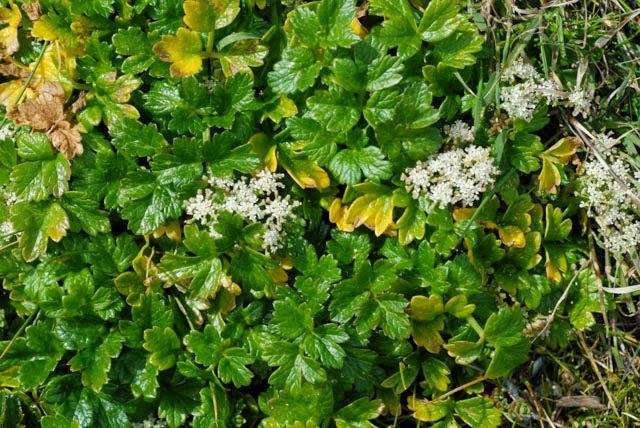 One of the greatest surprises of the Falklands flora was the close similarity between endemic species, and related species occurring in Britain. The British and Falkland floras are separated by many miles, and huge zones with totally different and much warmer climates. 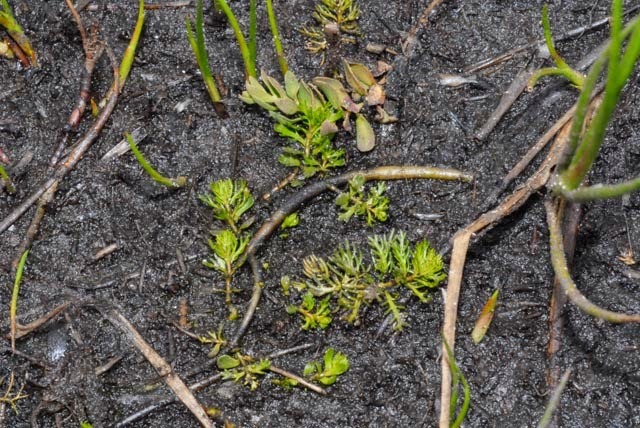 The connections between these two groups of plants seems to be a very great puzzle. 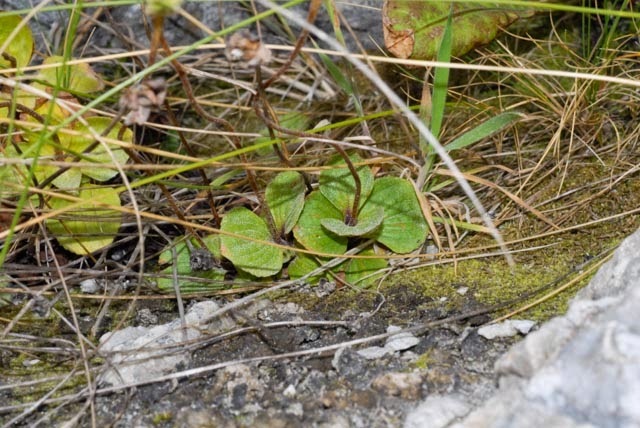 While it may be possible to explain the presence of Spiranthes romanzoffiana in the western British Isles, the northern USA and Canada through continental drift, this argument for the similarities between species in the Falklands and Great Britain beggars belief. Although very similar, the species in the Falkland Islands are not the same species as those in Britain. This makes the possibility that I have heard brought forward that the relatives in the Falklands were brought there by man highly improbable. 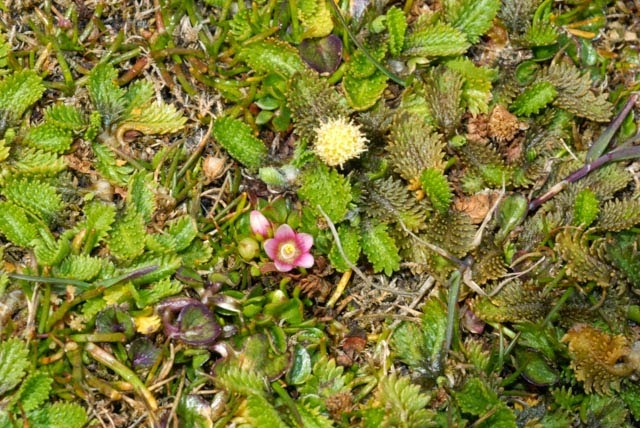 As in the case of the Canary Islands, there is a substantial introduced flora in the Falkland Islands of familiar species such as the common daisy Bellis perennis, creeping buttercup, Ranunculus repens and common cat’sear Hypochaeris radicata, the latter of which is especially frequent in Stanley. A visit to a fine piece of wetland close to Stanley Airport (from which domestic flights leave for remote parts of the islands) is especially instructive. 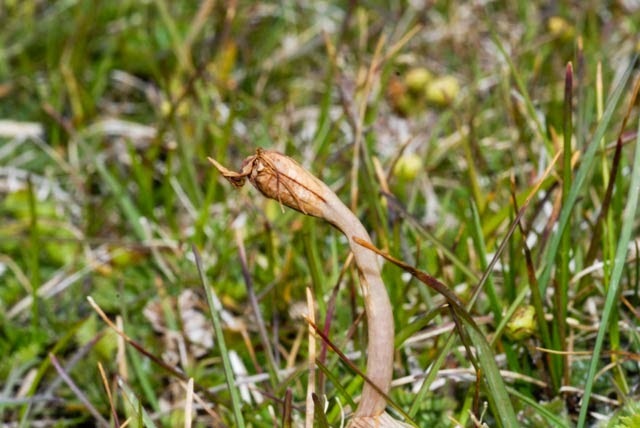 There are three species present here that have absolutely no relationship with any member of the British flora, and these are the extraordinary saprophyte Arachnitis quetrihuensis which is a close relative of, or the same species as the South American Arachnitis uniflora. It is a weird species, and all I saw of it was one individual past its best. Similarly the diminutive species of the genus Gunnera, Gunnera magellanica has no related native European species. 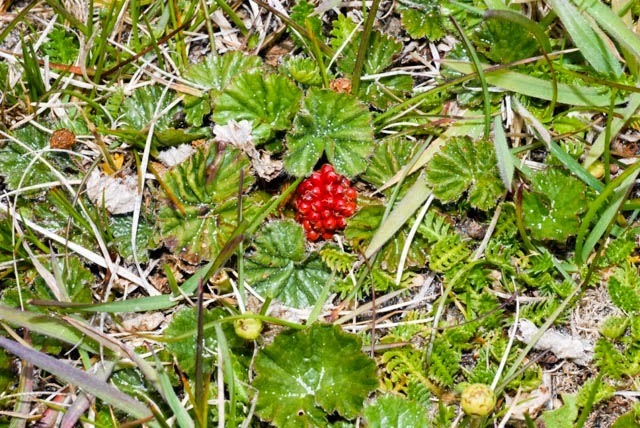 This species produces strawberry like fruits quite unlike those of the more familiar and gigantic Gunnera species of the Andes. Finally, there is a species that I was particularly anxious to see, Calceolaria fothergillii. I was assured that it would be relatively frequent, but it was well past flowering and in seed. All I was able to find of it was in rock cracks just above convenient head height for photography. 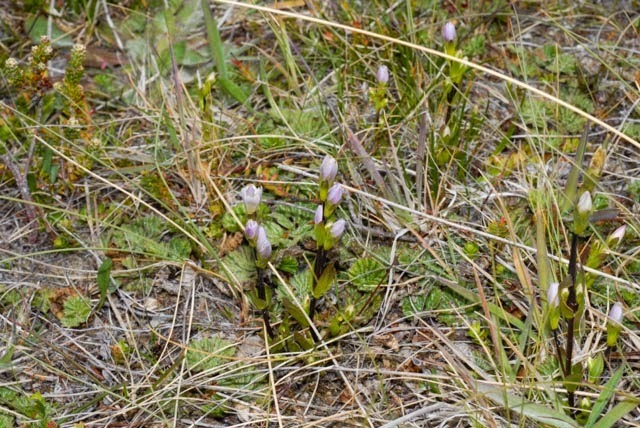 The species occurring in this site that are only critically separable from their British counterparts are Gentianella magellanica, Euphrasia antarctica and Anagallis alternifolia. Also present in the area is the aquatic Myiophyllum quitense, not so very dissimilar from British Water Milfoils, and Caltha sagittata. 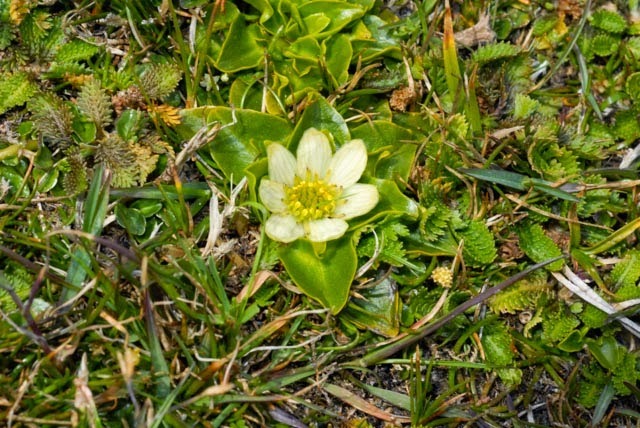 European marsh marigold species have yellow flowers, while the Falklands species has flowers that are creamy white. In New Mexico and elsewhere in the United States, there is Caltha leptosepala with white flowers. Caltha is therefore a relatively cosmopolitan genus with another yellow flowered species, Caltha asiatica in Kirghizstan. 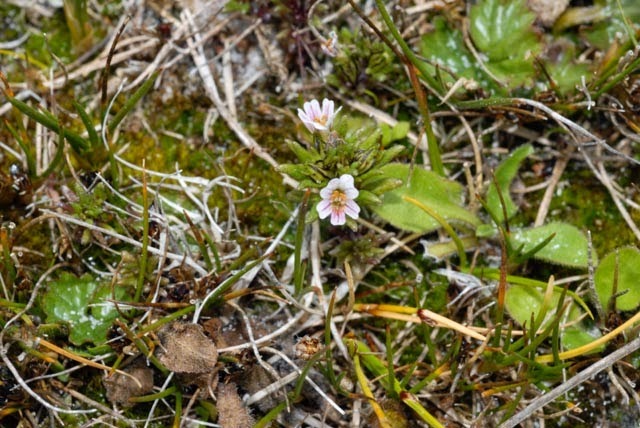 Although these wet meadows close to Stanley Airport have an especially rich flora, with several species closely related to European counterparts, the same is true of several other species native to the Falkland Islands found in other locations. On the banks above the marine inlet of Lady Elizabeth Bay, with the shipwreck of Lady Elizabeth that gives it its name, the Falkland species Apium australe which is very similar to our native species, as well as Armeria macloviana are present. The headquarters of diverse species of the genus Armeria are the mountains of the Iberian Peninsula where many species may be found. Throughout Europe close to the sea, and on the tops of relatively high mountains, thrift Armeria maritima is widespread and abundant. 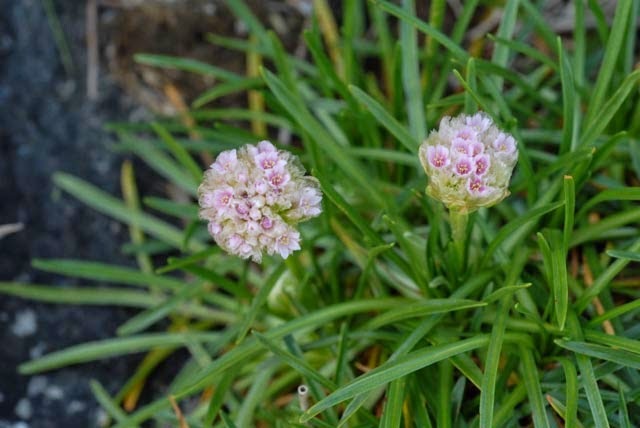 Armeria macloviana resembles our thrift more than it does most of the other species of the genus. A visit to hills that rise above Stanley support three more species with close European relatives. 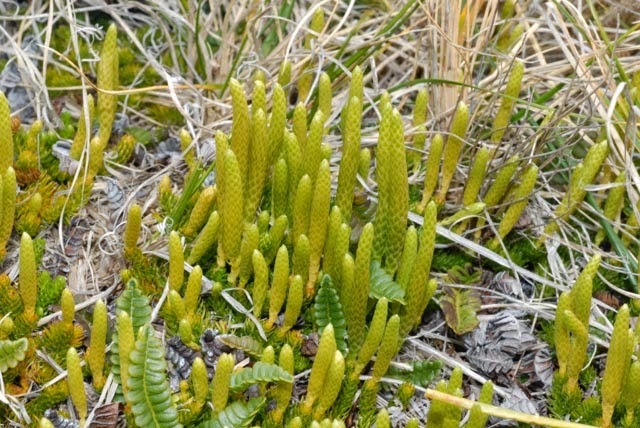 These are the two pteridophytes Lycopodium magellanicum and Botrychium duscenii both of whom closely resemble their European counterparts. 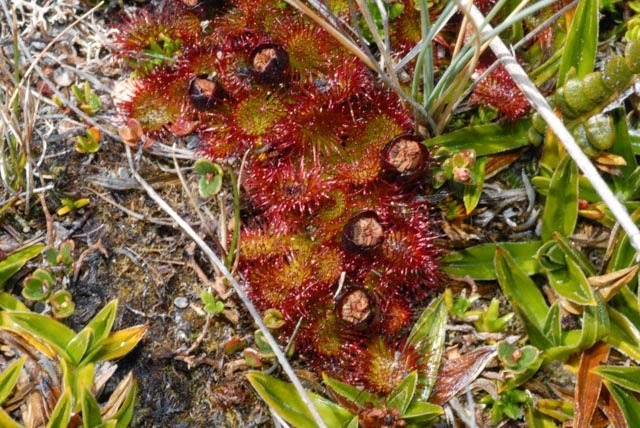 Similarly, the insectivorous Drosera uniflora is present in damp seepages similar to the habitat of its close relatives in Britain. 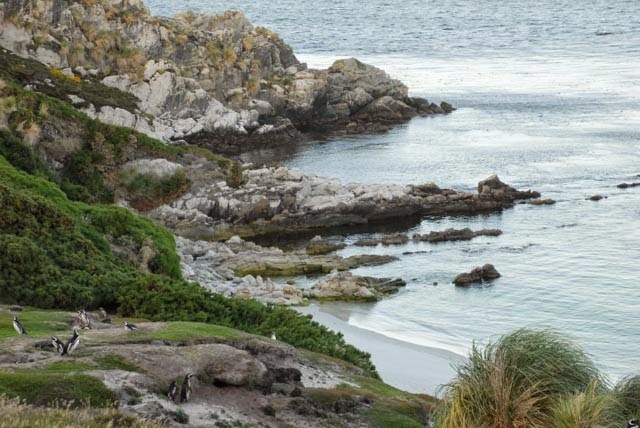 One of the most enjoyable experiences of our visit to the Falkland Islands was a three day stay on Bleaker Island down in the south of the archipelago. It is called Bleaker Islands as those who first discovered it found it even bleaker than the island they had just found. It has a permanent population of just two, a farmer and his wife who offer a very pleasant apartment for visitors. The island is ten miles from south to north, and the only other inhabitants which are very abundant, are three species of penguin and a large number of king cormorants. These natives are remarkably friendly if treated with consideration and respect. Although it is extremely remote, two invasive European species were not uncommon. These are Coronopus didymus and Sagina procumbens and it is hard to explain how they became established. 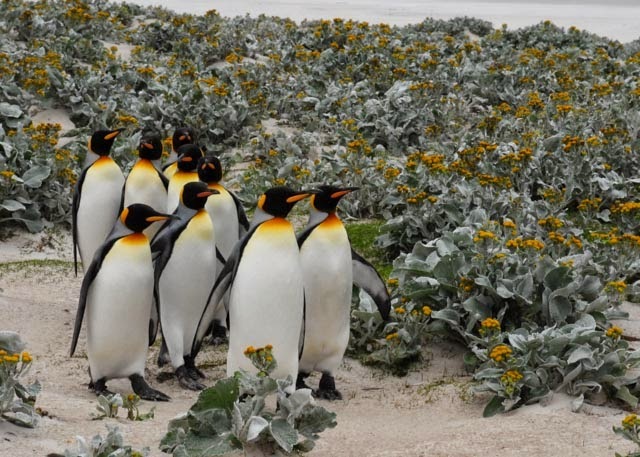 This will be the first of a short series of accounts of wildlife in the Falkland Islands. There will be more on the Flora and another full of appreciation of the wonderful, and endearingly charming bird inhabitants. Another great post Simon. My bucket list just keeps growing! Very interesting and thought-provoking post. I increasingly wonder about our traditional view of evolution rates. I suspect they vary widely among taxa, with some groups equipped (genomic toolkit) to evolve rapidly. Are any of Britain/Falklands species pairs represented on the South America mainland as well?